Cambodia has made major advances in agriculture through increased productivity, and the diversification and commercialization of key crops. 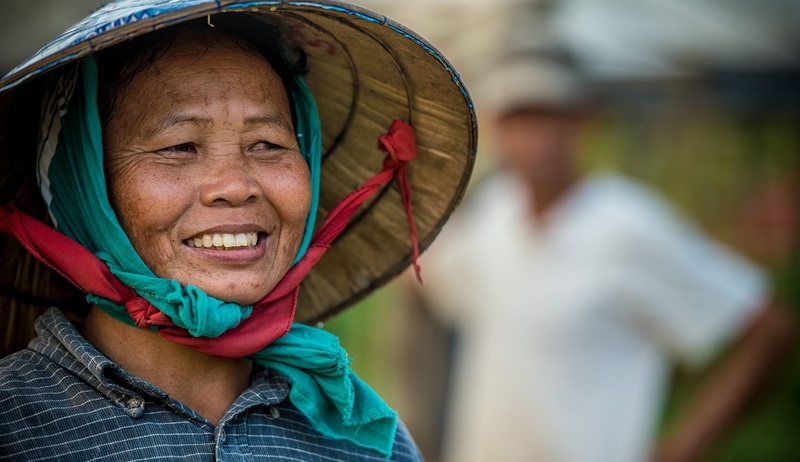 Cambodia has stimulated the growth of competitive farms and rural enterprises, connected rural areas to markets, and created more jobs. Other agriculture projects include the building of sustainable rural infrastructure, such as irrigation systems, and promoting productivity, competitiveness, and climate change resilience. Cambodia is also working to provide an adequate supply of energy throughout the country at an affordable price. This is designed to bring the economic benefits of a reliable energy supply to people in rural areas, while at the same time encouraging investment, and building the national economy. In coordination with its GMS partners, Cambodia is exploring sustainable options for the exploration and development of its energy resources, while at the same time taking a leadership role in green growth initiatives. Cambodia has one of the world’s most spectacular environments. With rich diversity in species and ecosystems, Cambodia’s forests, wetlands and coastlines are among the best preserved in Asia. Cambodians have recognized this environmental treasure, and are working to better manage rapid economic growth with sustainable environmental practices. This includes protecting vital water resources, such as Cambodia’s great lake – the Tonle Sap – and working to control floods that particularly hurt the poor and vulnerable. Like other GMS countries, Cambodia needs to develop its human resources in order to sustain economic growth, create more jobs, and further reduce poverty. With the support of its partners, Cambodia is working to educate and train its people to be globally competitive. The country has seen an increase in overall student enrolment, an improved curriculum, and a greater focus on vocational training and career orientation. There has been a particular focus the training of health professionals, and the protection of Cambodian workers migrating to nearby countries. The number of fixed and mobile telecommunications users is rapidly expanding in Cambodia, as is Internet usage. The government has worked, in coordination with its GMS partners, to improve the policy and regulatory environment for telecommunications. 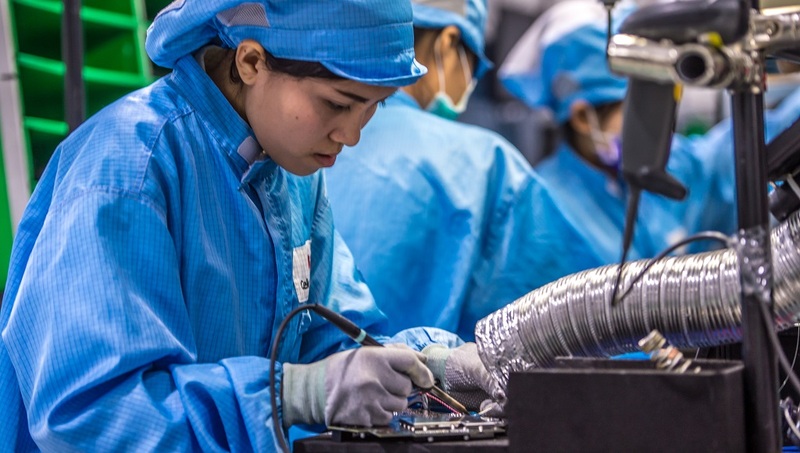 With cross-border connections to Thailand, Lao PDR, and Viet Nam, Cambodians are becoming increasingly connected to their GMS neighbors. This has spurred economic activity, and greater access to global and regional knowledge resources. Tourism in Cambodia has skyrocketed in recent years, with visitors – many from neighboring GMS countries – touring ancient Khmer sites, such as Angkor Wat. In addition to the lively capital of Phnom Penh, visitors are exploring the picturesque Tonle Sap Lake, the majestic Mekong River, the unspoiled Cardamom Mountains, and the alluring southern coasts near Sihanoukville. The country is working with its GMS partners to develop a sustainable tourism sector that reduces poverty and protects natural resources and culture. Projects are underway to develop human resources that serve the tourism sector, and build tourist-related infrastructure. 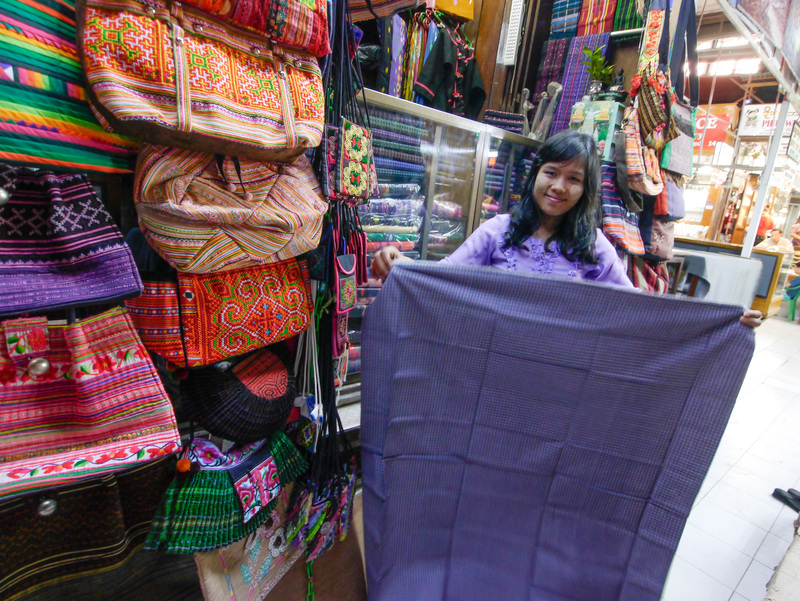 Cambodia is encouraging trade and investment by working to develop a strong private sector that supports both small enterprises and large corporations. The country also recognizes the importance of microfinance for the poor. Cambodia is working to strengthen the regulatory regime governing financial institutions and promote private sector involvement in regional integration. Cambodia’s fast-growing economy still needs more modern financial infrastructure, including effective bank and insurance regulations. In the area of transport, Cambodia has benefited from the development of the Southern Economic Corridor: a package of diverse investments along three major subregional routes – one cutting across northern Cambodia including Siem Reap, another running along the western coast, and the third a modern highway that links Phnom Penh, Bangkok and Ho Chi Minh City. These vital thoroughfares have spurred economic growth in communities all along the corridors, and beyond. Cambodia is also working to upgrade its national highway system, particularly roads that link rural areas to cities. The country’s airports and rail system have also been improved, and are slated for further upgrades. 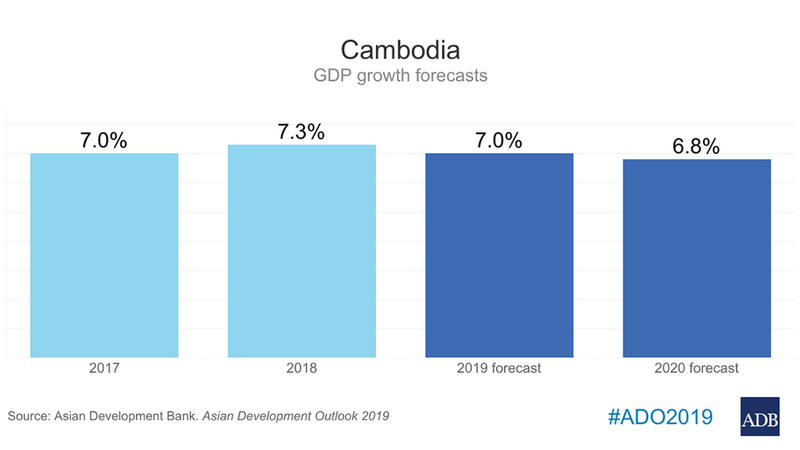 PHNOM PENH, CAMBODIA (3 April 2019) — Following a very strong economic performance last year, Cambodia will likely see moderate, but still robust, growth, with the economy expected to expand about 7% this year and 6.8% next year. This is the statement issued by the Joint Committee for the Cross-Border Transport Facilitation Agreement during its seventh meeting in Siem Reap, Cambodia on 13 March 2019. 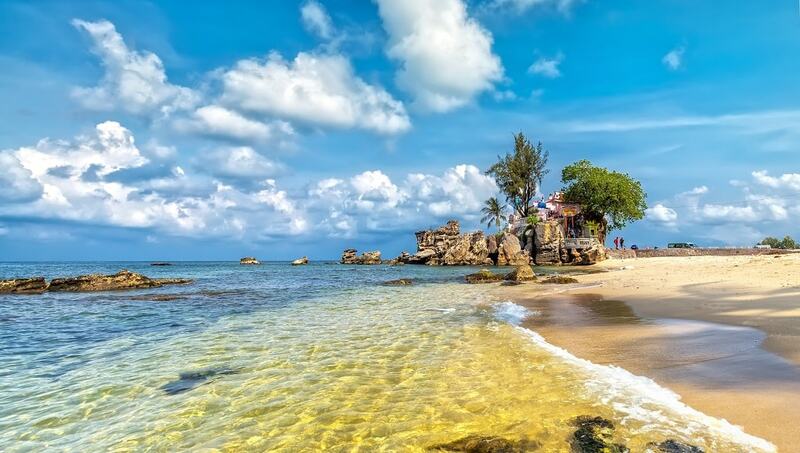 Ferry services between Kampot in Cambodia and Phu Quoc Island (in photo), a leading tourist attraction in Viet Nam, are expected to promote tourism as well as benefit residents and local businesses in the Southern Coastal Subcorridor. Photo: iStock.com. An international seaport project in Southern Cambodia will serve as a gateway for direct ferry services to Viet Nam and later to other destinations in the Gulf of Thailand. The fast ferry services are expected to boost tourism in the Southern Coastal Subcorridor of the Greater Mekong Subregion. The Asian Development Bank's operations in Cambodia focus on improvement of livelihoods and employment in rural areas; national, provincial, and rural roads; climate-resilient infrastructure; upper secondary education; addressing skills gaps; and implementation of government reform programs for public financial management and decentralization.